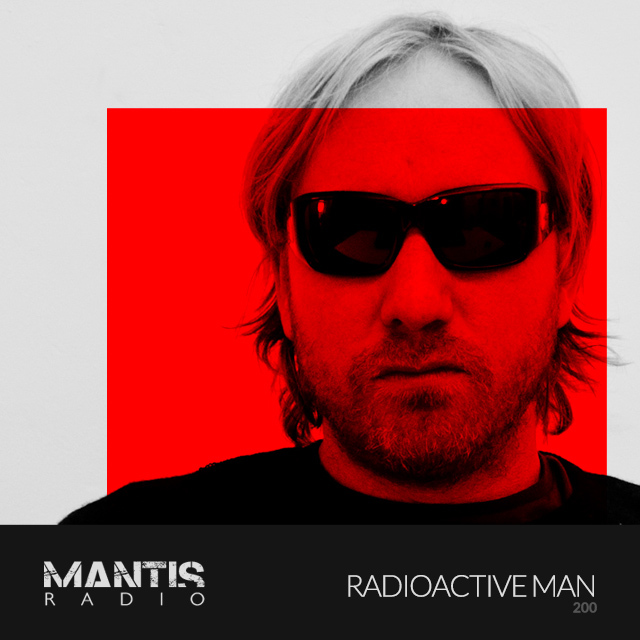 Back in February we broadcast an extended 6 hour special Mantis Radio live event to mark our 200th show. You can listen to the whole show above, or hit the split sessions below. Back in 2012 we threw a live event marking our 100th show. For our 200th it felt rude not to do the same. So we did. Broadcasting live from London, for our second centenary we invited sessions from Radioactive Man, Bandulu, Texture and Laica. Unfortunately Bandulu were a no-show, a real shame as many had travelled to Peckham’s basement record shop + venue Rye Wax to catch the trio perform. Nevertheless, the show must go on, and on it did. Our first session came from Darkfloor affiliate Laica who provided nearly an hour of field recordings and abstract ambient. Our second was a return to the show for Texture who performed an intense session based on his #EXNIHILO Edinburgh Fringe show. Texture has since become a key part of the Darkfloor Sound aesthetic, being one half of our latest label signing A Vengeance. Combining spoken word, storytelling and live electronic music, #EXNIHILO is a dramatic philosophical journey from darkness into light, from despair to mania. Our final guest was Keith Tenniswood, the UK electro legend that is Radioactive Man. A personal hero of mine since the days before the radio. With an extended set featuring many upfront and unreleased cuts it was an honour having him finally on the show. Only took me 9 years.